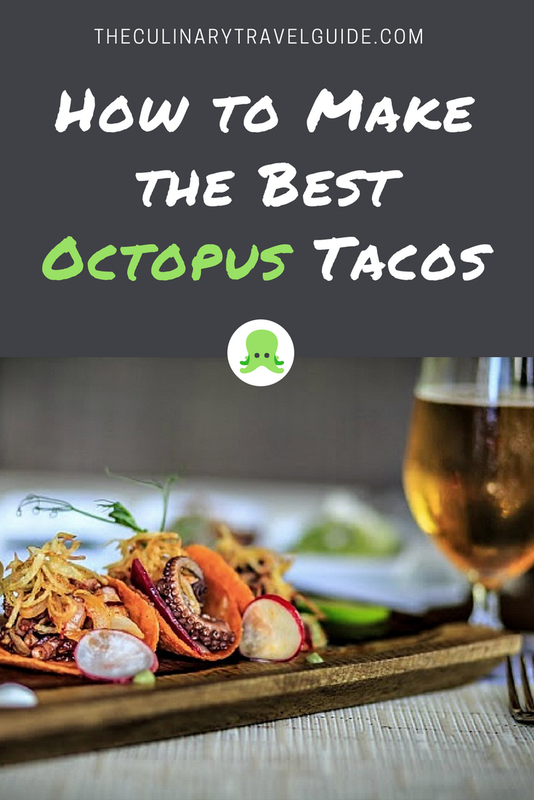 At our Yucatecan restaurant, Chaka, octopus tacos are served “Ajillo” style with nopales (cactus) and crispy potato on Guajillo-flavored tortillas. If you can’t make it to Mexico’s foodie resort on the Riviera Maya, try the recipe below for authentic tacos made with traditional corn tortillas you can find at any grocery store. *Fresh octopus is preferred however canned octopus can be used if fresh is not available. *If you can’t find Guajillo chiles, you can substitute Ancho peppers or Pasilla peppers. Place octopus, carrots, onion, celery, garlic, leeks, salt, and black pepper in a pot and cover with water. Bring to a boil and then simmer for 30 minutes. Remove from heat and allow to cool, drain and cut into bite-sized pieces. In a medium pan, sauté the remaining garlic, remaining onion and guajillo chili in the butter and vegetable oil until fragrant. Add the octopus, lemon juice, and salt and pepper to taste. Top tortilla with octopus mixture and enjoy!